We specialize in commercial and residential electrical, alarm system, access systems, as well as generator installation. Being a native of the Gulf Coast, we were happy to be partners in the rebuilding process after the devastation left by Katrina and look forward to a restored Gulf Coast. Duprey Electric, LLC is a long time member of the Better Business Bureau, ABC, and Mississippi Home Builders association. We are trained in the newest “energy efficient” whole house dimming systems, the Lutron Wall box Dimmer. It is the basic building block of the modern day lighting control. The Lutron Dimming system also saves on energy, which is important to the energy conscious homeowner. 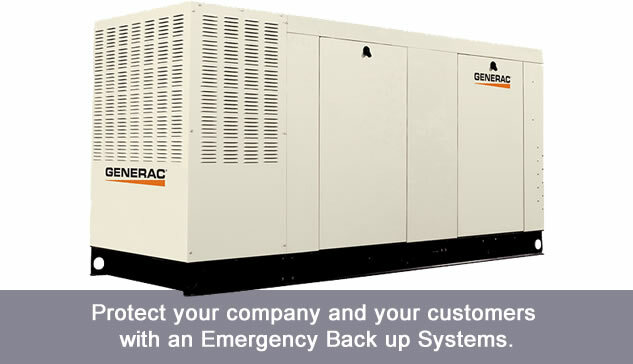 We are also an authorized dealer for Generac Generators. Stand by generators will allow you to automatically power your building during a power outage. Duprey Electric, LLC strives to provide comprehensive pre-construction services and the planning, coordination, and project management of major projects with critical schedules. We have successfully completed every project awarded to us, and can handle any size project and installation from initial design to follow-up maintenance. We have a fleet of 16 trucks, trenchers, excavators, front end loaders, backhoes, and utility/cargo trailers to facilitate work in a timely manner.